People will die if we don’t repeal and replace Obamacare! 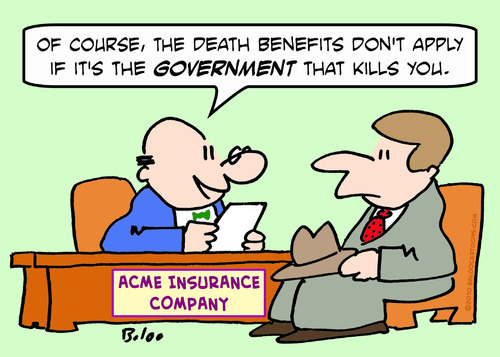 That right, and I’ll tell you why: First, the “Affordable” Care Act (ACA) creates terrible incentives for physicians. Among other provisions, it has chopped reimbursement rates on Medicare and Medicaid. As a result, physicians are declining patients under those plans, exposing the “access” myth under Obamacare as one of several cruel deceptions. Second, “physician feedback” reports and hospital “performance scores” reward providers who avoid the sickest and neediest patients. Third, provisions of the ACA encourage the monopolization of health care delivery and consequently inflate costs. That makes it less likely that needy individuals will insure or seek care, especially given the high deductibles they face. And greater market concentration in health care delivery often means patients have nowhere to go when they are denied care. 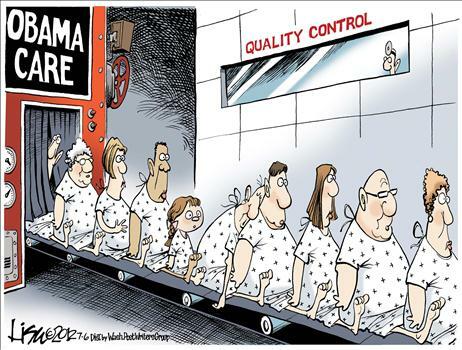 Fourth, Obamacare has increased the regulatory burden on providers, which invariably reduces the quality of care. Other ACA regulatory burdens placed on employers have forced them to reduce employees’ hours and new hiring in order to control costs. This has limited the number insured under employer plans, leaving them to grapple with the exchanges, or on government plans from which physicians feel stiffed, or to be uninsured. All of these developments lead to undesirable health care outcomes. And there is more. Obamacare was a complete sham and destined to fail from the start, but the law’s now certain demise is greeted with indignance by the economic illiterati of the left. There are many counts upon which the law has failed: almost 29 million remain uninsured; millions of others in the individual market lost the coverage and doctors they preferred; only a single insurance option is available on many exchanges; the individual mandate is widely-ignored; the exchanges are serving a sickly risk pool; insurance premia are skyrocketing; health care delivery has trended toward monopoly; low Medicaid reimbursement rates have reduced actual access to providers; negative employment effects have arisen as firms adjusted to the employer mandates; and the law has imposed stiff regulatory compliance costs on providers of health care. Obamacare is also a significant budget item, despite early claims to the contrary (also see here): according to the Congressional Budget Office (CBO), the law’s contribution to the federal budget deficit is expected to be almost $2 trillion over the next ten years. What a law! It’s many invasive tendrils are destroying the vitality of the health care and insurance sectors, and it must be eliminated. There are better ways to achieve the goals originally put forward under the aegis of the ACA. Those who fear repeal either believe that the law will not be replaced, which is unlikely, or that the replacement plan will lead to the loss of health care coverage for a large number of individuals. My contention is that the ACA can be replaced with a plan that would correct its massive deficiencies without creating other death traps. The single truthful claim that supporters of Obamacare can make is a reduction in the number of uninsured since its implementation, but the numbers reported are exaggerated. A typical quote is that 20 million have gained coverage, an estimate, but we’ll go with that. The link gives a rough but meaningful accounting. Most of the increase in the number of insured, about 13 million, came from expanded Medicaid enrollment. That could have been accomplished without the ACA, and most of those enrollees were already eligible for Medicaid before the ACA’s expansion in eligibility. Perhaps the law had some beneficial effects on the awareness of individuals who were previously eligible but unenrolled. The quoted gains in the insured population also include several million who were forced off their previous coverage in the individual market by the ACA. These do not represent net increases in the insured population. There have also been gains among young adults who remained on their parents policies. And yes, there have been gains in coverage among those with pre-existing conditions, but this totals less than half a million even counting those already covered under state “high-risk pools”. Needless to say, outright repeal of the ACA without replacement would not lead to a 20 million increase in the uninsured population, as many have argued. With replacement, it is conceivable that losses in coverage could be zero or negative. What are the likely features of an ACA replacement bill? There are as many as nine different proposals or bills introduced by republicans, including one from Rep. Tom Price, who has been nominated to serve as President-Elect Trump’s Secretary of Health and Human Services (HHS). Rep. Pete Sessions and Sen. Bill Cassidy have introduced a bill endorsed by economist John C. Goodman. Rep. Phil Roe introduced a bill just last week. Sen. Orin Hatch and Sen. Richard Burr have proposed health care legislation. House Speaker Paul Ryan has also proposed a plan that received muted praise from noted health-care expert Avik Roy. These plans have some commonalities. In broad strokes, the proposed legislative actions call for less regulation, greater choice in the design of health insurance policies, more patient-centered care, a shift to market orientation, efforts to equalize the tax treatment of insurance premia for employer and individually-sponsored plans, retention of the ACA’s continuance of family coverage for young adults, and tax credits to support universal availability of insurance coverage. There are several ways in which an ACA replacement plan can reduce the cost of health care delivery and the cost of health care insurance. The low-hanging fruit, as it were, involves steps to reduce the regulatory burden on health care providers, eliminating the ACA’s Minimum Essential Coverage and Essential Heath Benefits requirements (and allowing wider choice of coverage types and levels), and allowing competition among insurers across state lines. The reduction in costs and subsidies that can achieved by allowing simple catastrophic-only policies in both the individual and employer markets is obvious. These policies would have low premia and correspondingly high deductibles. Regular checkups and routine health maintenance would not be covered under such basic policies. Those benefits would be optional, along with others like mental health coverage, maternity and reproductive health. The basic policies would represent real insurance, not paid-in-advance services. It’s more difficult, however, to anticipate the magnitude of cost savings and efficiency gains from eliminating regulatory requirements, encouraging competition among providers, and legalizing interstate insurance competition. That means the total gain from “low-hanging fruit” is hard to quantify, but it is real. Here are comments by David Brooks in The New York Times on the promise of market-oriented reforms. Several of the GOP plans seek to provide universal availability of health insurance coverage by allowing refundable tax credits on insurance costs combined with expanded availability of Health Savings Accounts (HSAs). These steps would help to equalize the tax benefits of health insurance across the employer and individual markets. This is a crucial step due to the historically damaging effects of employer-provided coverage, as noted by A. Barton Hinkle here. Several of the GOP plans would allow non-employers like church groups, fraternal and professional associations to offer coverage. Other proposals in some of the GOP plans involve reform of the FDA, more support for private Medicare plans, and a change in the federal portion of Medicaid funding to block grants to states (who actually manage the program). The latter will be the subject of a future post. Don’t repeal and delay: All indications are that congressional republicans have avoided this minefield, and Trump has stated that he won’t accept anything short of “simultaneous” repeal and replace. ACA revenue should not be “given away”: Goodman lists negotiated fee reductions from the AMA under the ACA, AARP’s agreement to Medicare cuts, and taxes on pharmaceutical companies, insurers, big labor and big business. Eliminating these sources of savings and tax revenue can be afforded only by reducing other costs. I’m dubious that the fee reductions and taxes haven’t had counterproductive effects, but point taken. Don’t impose a Cadillac tax: The Cadillac tax applies to expensive plans offered by employers. This point is an exception to #2 above, but Goodman says several GOP plans impose forms of Cadillac taxes despite widespread opposition. “Virtually all of the new government spending for private health insurance under Obamacare is going to what has become the most dysfunctional part of the healthcare system – the individual market. This is where premiums are spiraling and there is a race to the bottom on quality and access to care. Almost every Republican plan to replace Obamacare makes the same mistake. But why throw good money after bad? Goodman strongly endorses the replacement plan put forward by Rep. Pete Sessions and Sen. Bill Cassidy. It is the only GOP plan advanced thus far that avoids the four pitfalls identified by Goodman. My statement at the top of this piece might strike some as outrageous, but it is less outrageous than statements by Sen. Harry Reid and others that “people will die” if Obamacare is repealed. Of course, my assertion would be hard to defend unless conditioned on a replacement plan to improve access to quality care. But it is wrong to say that repeal will lead to incremental deaths without reference to a replacement plan. The claim that there is unlikely to be a replacement is disingenuous. The usual defense of the ACA is grounded in the increased number of insureds it has achieved, combined with appeals to the expense of catastrophic health events. A weaker defense is the presumption that Obamacare codifies a “right” to health care. Even if we stipulate that such a right exists, there are better ways to accomplish the ends desired by the ACA’s proponents. The alternatives now under consideration are encouraging, as they are largely geared toward leveraging the efficiency of the market with less reliance on information-deficient government planners and rule-makers. 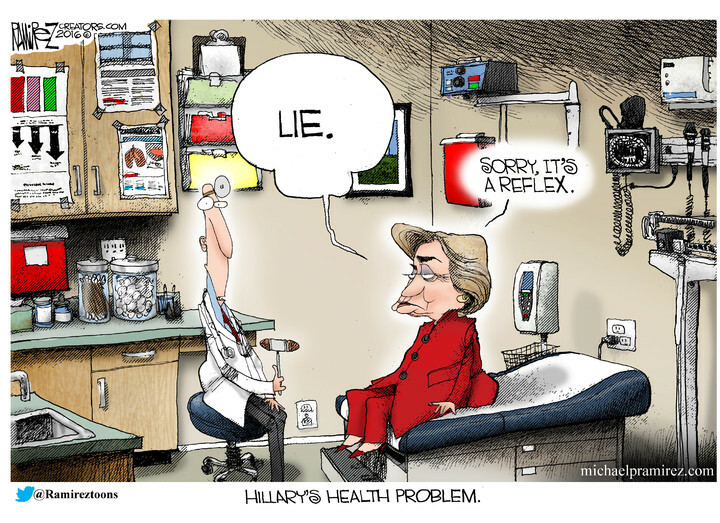 One of Hillary Clinton’s “public positions” is that Obamacare needs a few “fixes”, a considerable understatement. Meanwhile, Wikileaks has revealed that she has “privately” rooted for the failure of Obamacare. For that reason, Bill Clinton’s recent slip-up, in which he portrayed Obamacare as a “crazy” system, had a certain Freudian quality. Indeed, Obamacare looks crazier every year, especially in the middle of premium-hike season. One of Hillary’s so-called “fixes” is the creation of a “public option”, or health insurance offered by the government to compete on exchanges with private insurance. Private health insurers, with the expiration of the so-called “risk corridors”, do not have continuing access to the public purse to cover their losses; going forward, they must price coverage at rates covering the cost of their respective risk pools. The government, on the other hand, is likely to have pricing flexibility. If exercised, there will be little hope for private insurers to “compete” without bailout money. Health insurance coverage, then, is likely to devolve into a single-payer monopoly, and control over health care delivery will be increasingly monopolized as well. So the path from Obamacare to a single-payer system is likely to involve a public option in one form or another. John C. Goodman points out that expanding Medicaid is one way to create a broad public option. Medicaid reimbursement rates are low, however, which is why many doctors refuse to accept patients with Medicaid coverage. Such might be the quality of future coverage under an “affordable” public option. And if Medicaid is enhanced so as to appeal to middle class families, it will be correspondingly more expensive. But for whom? More than likely, the tab will be paid by a combination of insureds and taxpayers. And more than likely, the number of competing Medicaid plans (most of which are now privately offered and managed (e.g., Centene Corporation)) will dwindle. Christopher Jacobs says that when Obamacare became law, health insurers had every expectation that they’d be bailed out by the government indefinitely. Continuing reimbursement for losses was never guaranteed, however. The pressure to backstop the insurers’ profitability will be stronger as the debate over “fixing” Obamacare advances. But as Jacobs warns, ongoing bailouts mean that these insurers are essentially controlled by the government. The private insurers would essentially become heavily-regulated entities managing the operational details of a de facto single-payer system. So, there are three distinct possibilities under a Hillary Clinton presidency, assuming she can get any of them though Congress: 1) a public option with no private bailouts; 2) a public option with ongoing bailouts; and 3) no public option with ongoing bailouts. Ultimately, all of these scenarios are likely to devolve toward a de facto single-payer system. So we will have monopoly, central control of health care, and/or bailouts. Who was it that said government is the way we wreck things together? Hillary has some other “fixes” in mind. Some of these involve more regulation of coverage and pricing, such as mandatory provision of three free “sick” visits with a provider each year and in-network pricing for emergency procedures. These steps will add to the cost burden on private insurers. Regulating drug companies more heavily is another favorite Hillary Clinton theme, but regulation is perhaps the primary reason why the drug development process is so lengthy and costly. The theory that government will be more effective at negotiating drug prices than insurers is suspect. Outright price regulation is likely to mean reduced availability of various medicines. Patent reform and an expedited drug approval process would be a more effective approach to reducing drug prices. Clinton has also proposed a tax credit for out-of-pocket health care costs exceeding 5% of income. We’ll need higher tax rates, lower deductions and credits elsewhere, or higher deficits to pay for this one. Finally, Hillary wants to expand eligibility for Medicare to anyone 55 and older, but as Goodman explains, the kind of Medicare Advantage plans that would be made available to “near seniors” under this proposal are similar to those already offered by private insurers, and at lower cost, and premia for these plans are often payable with pre-tax dollars, or the buyers may be eligible for tax subsidies. This proposal might sound appealing, but it is unlikely to accomplish anything except to create more administrative overhead, regulation and diminish existing offerings. 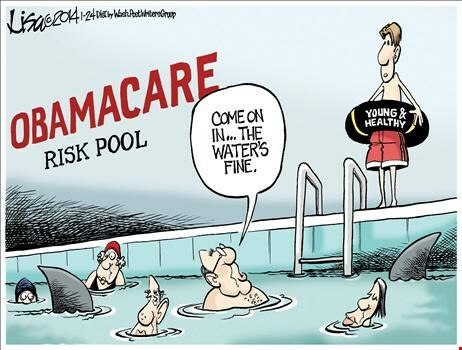 Obamacare has injected a high degree of central planning into the health care system with disastrous results. It has fallen far short of its own objectives for reducing the number of uninsured, “bending the cost curve” downward, and avoiding disruptions to existing coverage and patient-doctor relationships. Choices have narrowed in terms of coverage options and within networks. Obamacare has imposed unnecessary costs on providers and encouraged a monopolization of health care delivery, hardly a prescription for affordability. And Obamacare has proven to be a budget buster, contrary to the advance hype from its proponents. I remember standing in a pharmacy shortly after Obamacare was enacted, and I heard a sharp-voiced leftist telling a clerk that Obamacare was just a bridge to single-payer health care. I tried to mind my own business, thinking it unproductive to engage such an individual in public. This fellow was quite pleased with the clever deception that was Obamacare. It was never a secret that the progressive left hoped single-payer would be the ultimate outcome, but it’s interesting to witness their discomfort with the way things are unfolding. Surely they must have known that if “fixes” were necessary, something would have to be broken. Perhaps they thought the politics would get simpler, but the shortcomings of the health care law have inflicted too much pain and shame. I’m tempted to say that the health care system can be improved only by doing precisely the opposite of everything Clinton has proposed. 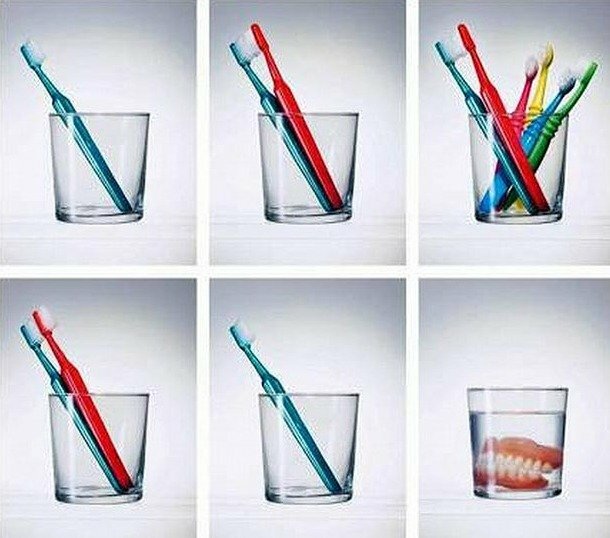 There’s some truth in that, but it’s not quite that simple. The path to better and more affordable health care is to end the dominant role of third-party payers, placing responsibility on price-sensitive consumers, allowing a variety of choices in coverage, ending tax preferences, reducing regulation and encouraging real competition in the markets for coverage and medical care. Reform of the patent system could introduce more competition to markets for pharmaceuticals. The Medicaid system will have to be relied upon to cover those who otherwise can’t be insured at affordable rates. Proposals for federal funding of Medicaid through block grants to the states is an avenue for achieving greater efficiency and better health care outcomes. Hillary Clinton’s “fixes” are all likely to exacerbate the worst failings of Obamacare for consumer-patients and taxpayers. More federal spending commitments will not solve the structural problems embedded in the health care law. It will magnify them. The hope among the progressive left remains that single-payer health care will evolve out of the Obamacare system once it is “fixed”. And what will we get? More complete monopolies in coverage and care, higher prices, central regulation, narrowed choice, waiting lists, denial of care, and some combination of higher taxes and deficits. In other words, a more radical version of Obamacare. Anticipating another year of disappointing enrollments ahead, the White House now is low-balling its enrollment target for 2016. This an apparent attempt to present a better face to the public when the bad numbers roll in. “In a normal market, the entrepreneurs wake up every morning and ask themselves: How can I make costs lower, quality higher, and access to my product better today? 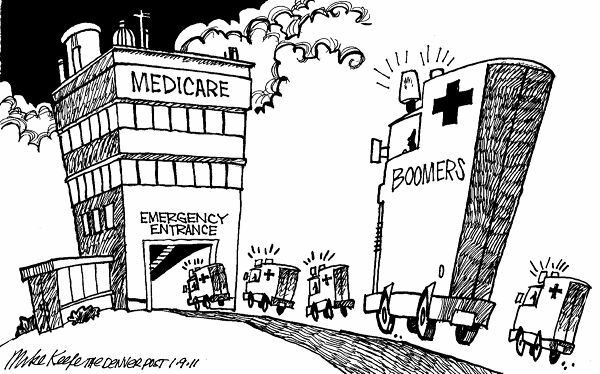 Goodman explains that an insurance firm providing coverage through Medicare Advantage would have nothing to gain by introducing cost-saving innovations: all of the extra profit would be turned over to Medicare. Incentives matter, but bureaucrats often fail to understand incentives and their power to improve performance. Goodman also describes the poor results of the so-called Accountable Care Organizations, the futile pilot programs and demonstration projects related to the practice of medicine, and the gaming that has taken place within the hospital “pay-for-performance” program. Ironically, the most certain outcome of any attempt to impose central planning on an industry is that there will be unintended and undesirable consequences. “If you think that the Patient Protection and affordable Care act (ACA, also known as Obamacare) is bad because of its expense, the distortions it causes in the labor market, its failure to provide people what they really want, and its highly unequal treatment of people in similar situations, wait until you read John C. Goodman’s A Better Choice: Healthcare Solutions for America. You will likely conclude that the ACA is even worse than you thought.